Hi there! 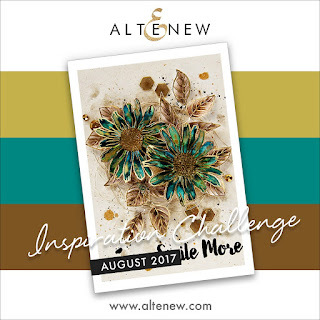 I'm back with another card using the Hero Arts July kit. 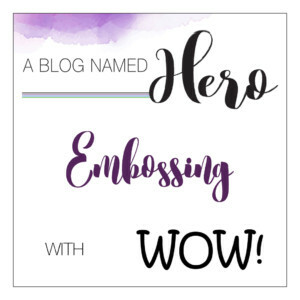 I added a bit of embossing for the A Blog Named Hero's Embossing challenge. I used Distress Oxide ink for the background and the flowers were coloured with Zig Clean Colour markers. 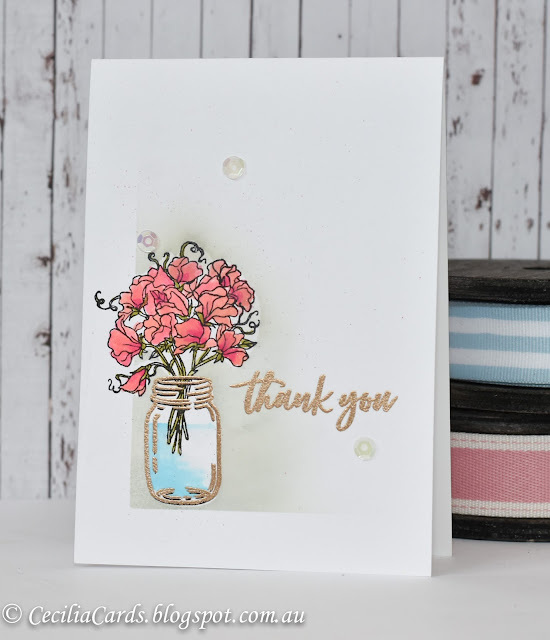 I then over-stamped the mason jar with Versamark and heat embossed both the jar and the sentiment. 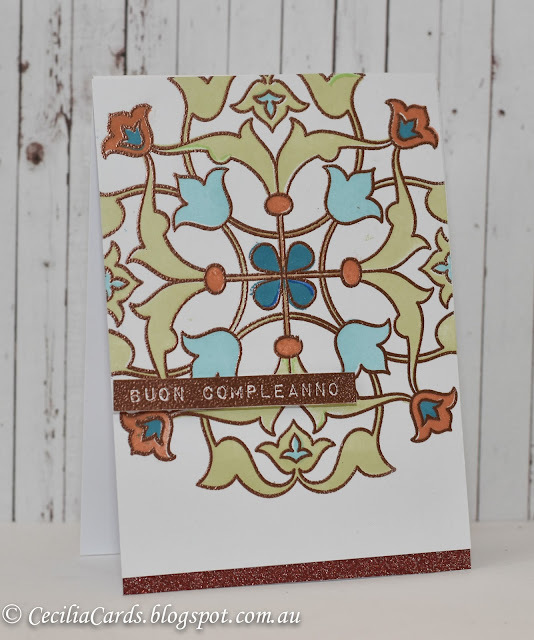 A bit of Wink of Stella and sequins were added for the added sparkle. 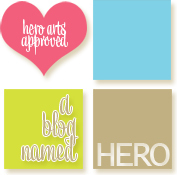 This post is for A Blog Named Hero's Facebook Fanpage. Thank you for dropping by! I have a quick watercolour card to share. 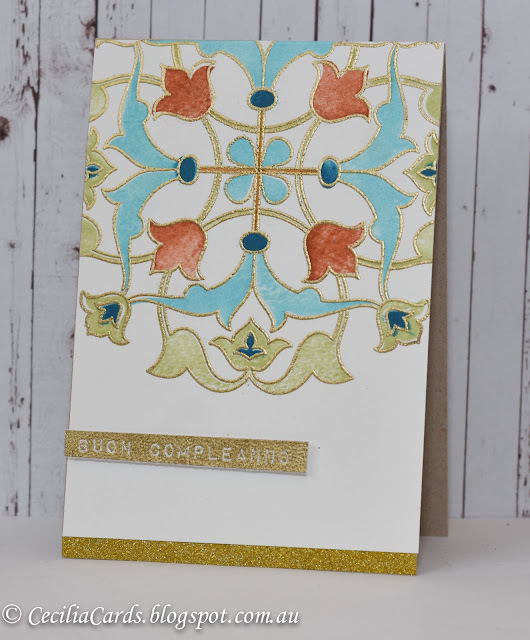 I used distress inks to add some colour to the background and then white embossed some images over it. 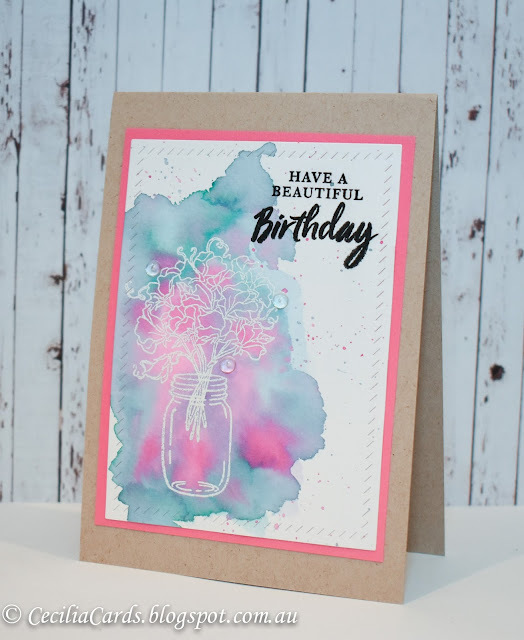 I love the washed out look of the distress inks! Thanks for dropping by!